First Thursday was a splash. 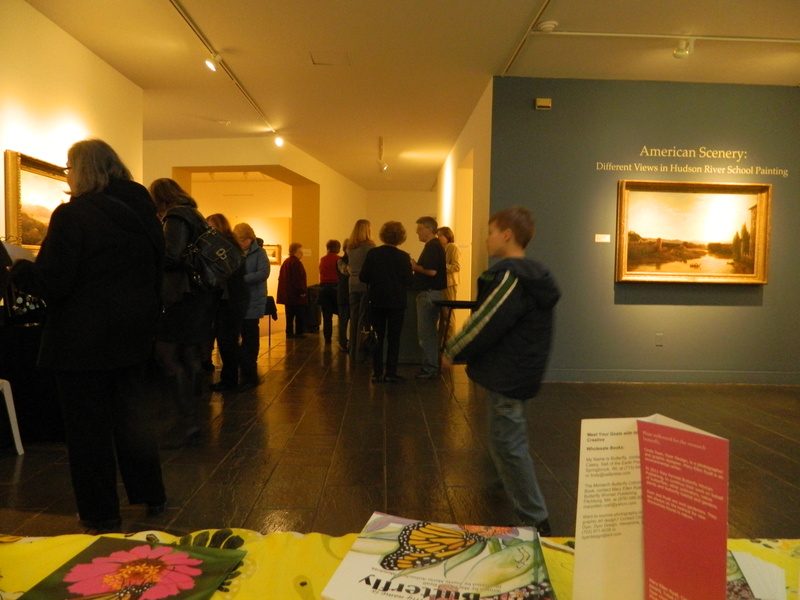 Many people attending the Fitchburg Farmers Market at the Fitchburg Art Museum. 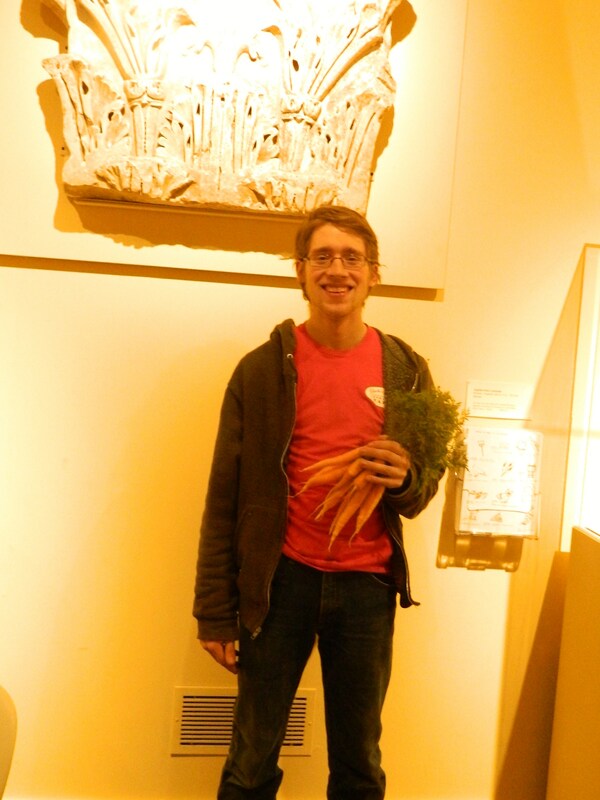 Nick Capasso, new director, was on hand to greet visitors, Museum staff served refreshments. 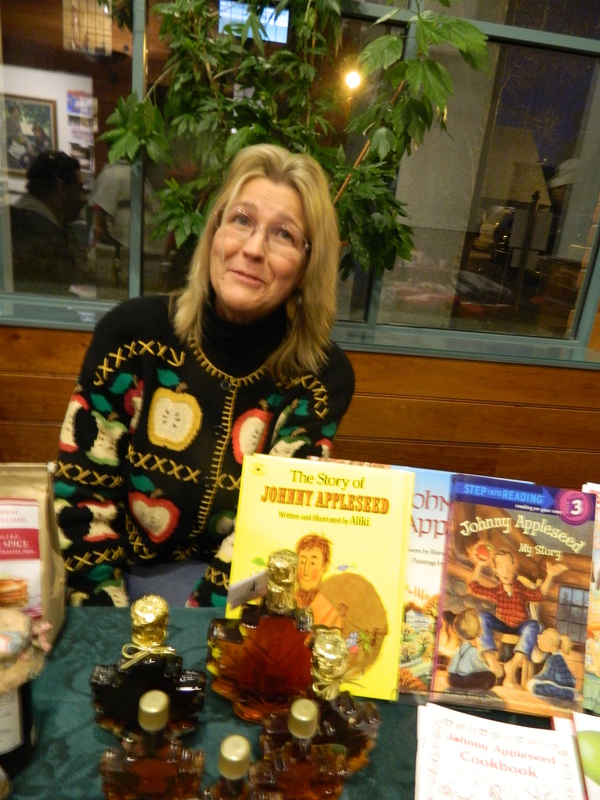 I tended the community table on the second floor where my book My Name is Butterfly was available. Robert Lanciani of www.ishootwildlife.com and Terry Impostato, Semi Precious Gem Treasures, had tables. 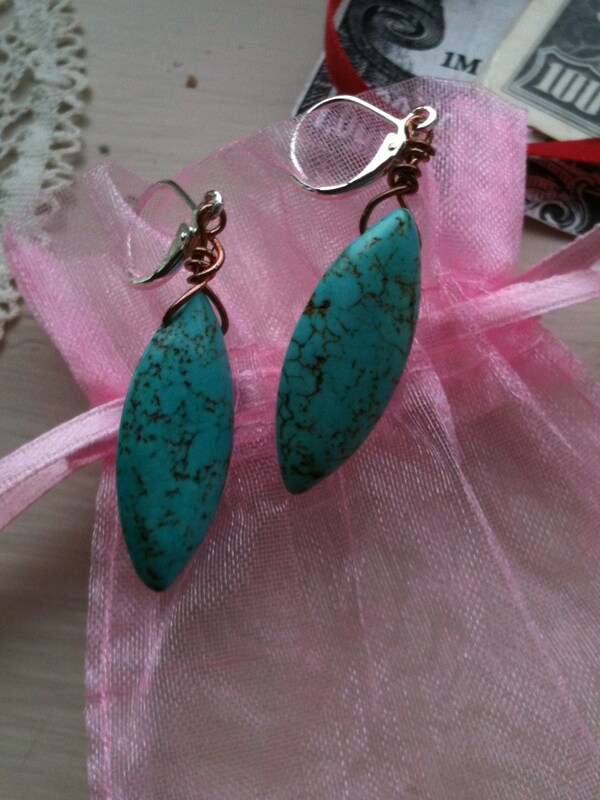 I purchased a pair of turquoise drop earrings from Terry. Vee Lashua sold organic vegetables, eggs and meat to a sold out crowd. Her spicy grass fed beef chili was delicious and I bought a cup. I bought a steak, which defrosted overnight and cut into five portions. I cooked the meat up with tomatoes, onions, fresh baby portabella mushrooms, with vinegar and butter. 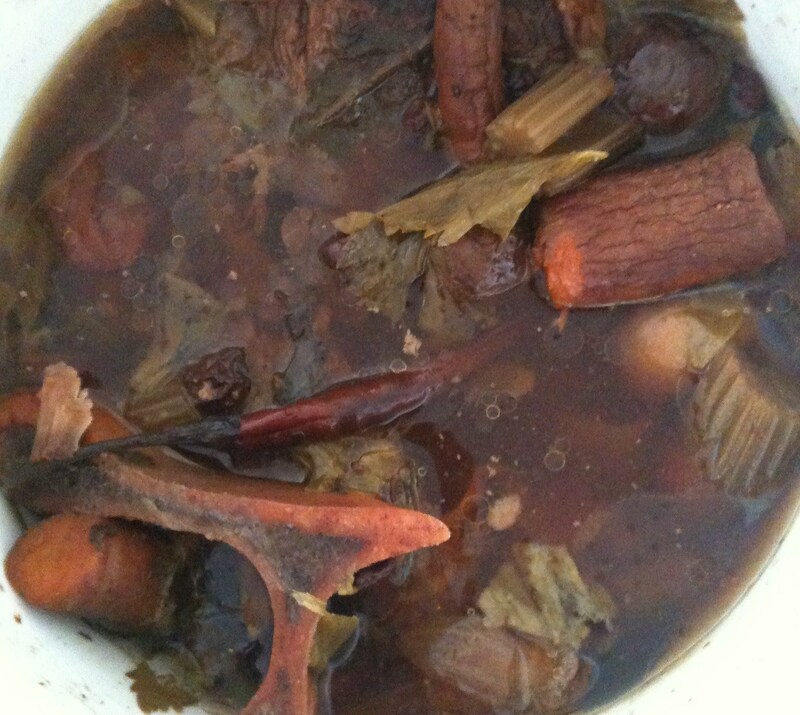 One portion was used in the slow cooker. I made delicious stew with tiny potatoes, onions, mushrooms, garlic, bite size tomatoes, carrots, celery and fresh dandelion greens from the market. Charlie grew dandelion and other greens, at Red House Farm greenhouse. He had beautiful greens for sale. Next month I am going to buy a lot more. There was quite a selection of bagged green and purple lettuce also. 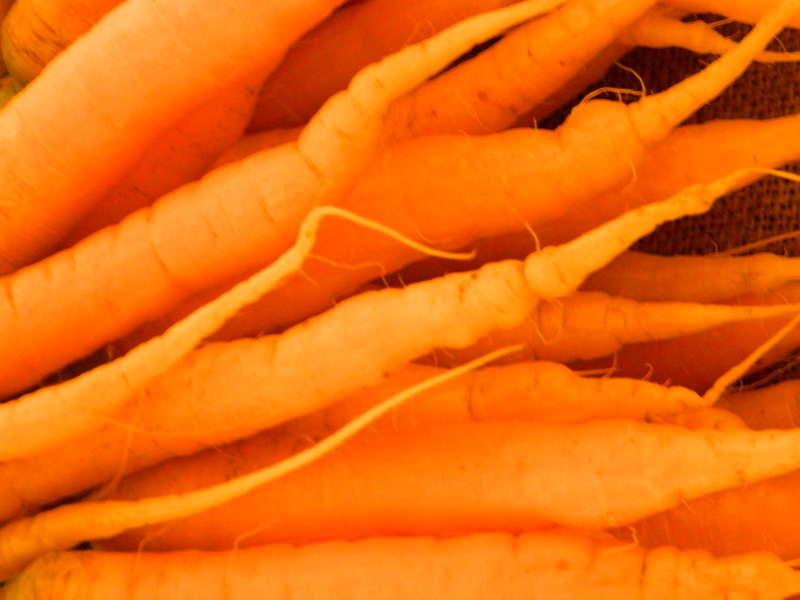 The carrots were beautiful. 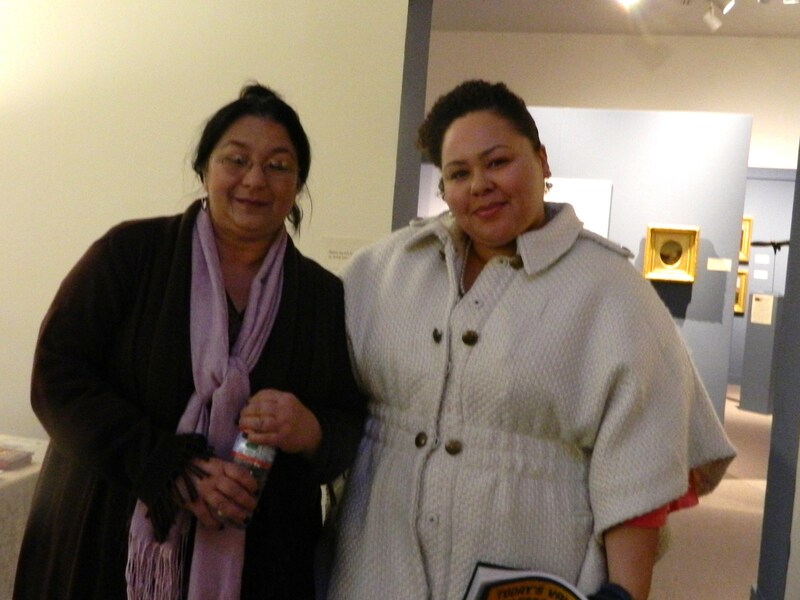 I met Diane Burnette. She and her husband run Johnny Appleseed Visitors Center, in Lancaster, MA. Visit them at www.appleseed.org They sold darling children’s books about Johnny Appleseed. She offered MA maple syrup and other home grown products. Diane uses the Farmers Market to connect and network with community. In greeting guests, I met grade school teachers. They took butterfly postcards and business cards. Now teachers know that I am available for environmental and butterfly classroom talks. They can contact me at www.butterflywomanpublishing.com I will be mailing Diane postcards of my books. She thought there might be an interest for the books at Johnny Appleseed Visitors Center. Friday the weather turned into The Blizzard of 2013. 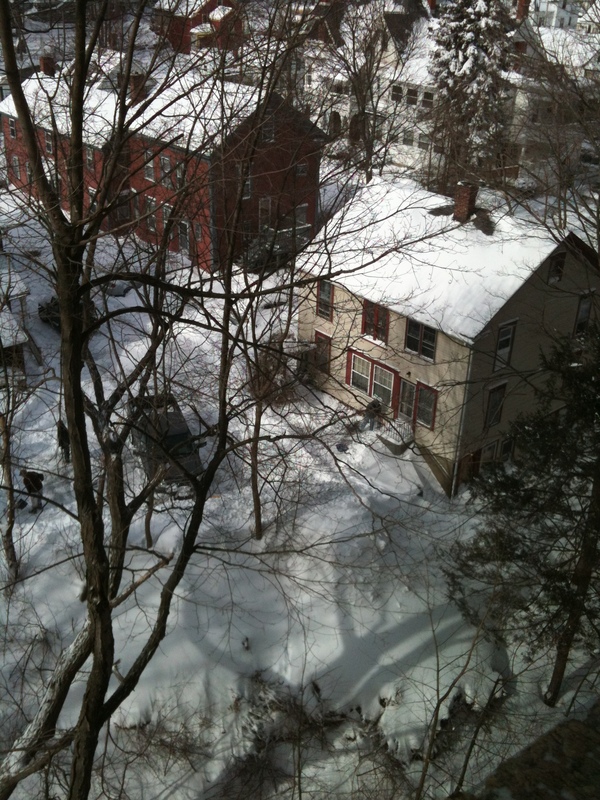 Fitchburg had a snow fall of 23.5 inches of snow overnight. The Governor told everyone to stay home. If you were caught out driving you could have gone to prison. People paid attention. I was perfectly safe up here on the 9th floor. It is a little nest and I am self contained. 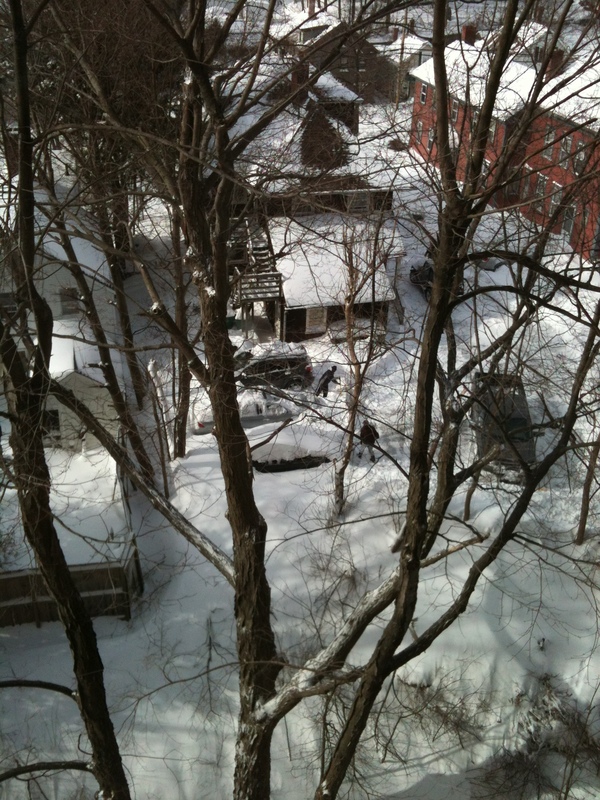 As of 4 p.m. today, the Governor announced that vehicles could use the roads again.